As editor in chief, Mohamed leads the Gallup News team. For the past 10 years, Mohamed has led some of Gallup's largest global and regional studies on social, political and economic issues. His research at Gallup has focused on geopolitics and the shifting global order, U.S. foreign policy, state stability, youth employment challenges, and relations between Muslim communities and Western societies. 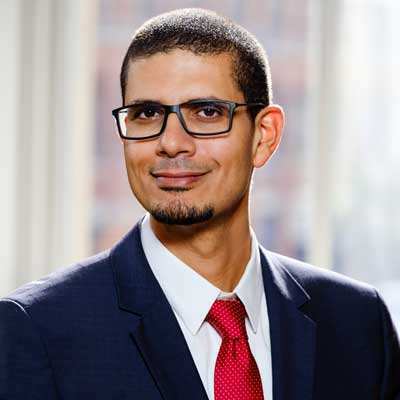 Mohamed provides briefings to world leaders and institutions on Gallup's research and provides expert insights to television, radio and print media worldwide. Since 2012, Mohamed has led Gallup's initiatives on situational intelligence and open-source monitoring. He leads a team of strategic advisers who monitor and consult on real-time geopolitical shifts around the world. Mohamed is a member of the Virginia State Bar, has studied and worked in Egypt, Saudi Arabia and Qatar, and is fluent in Arabic.